Peugeot launches one-fee-for-all scheme | What Car? 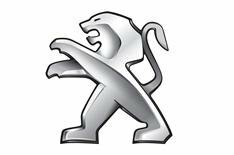 Peugeot has today unveiled a new way for customers to buy and run some of the companys cars. Called 'Just Add Fuel', the plan combines all the buying and owning costs (except fuel) into one monthly fee to be paid for three years. That includes comprehensive insurance, routine servicing, road tax and roadside assistance on top of the purchase costs. In essence, Just Add Fuel operates like a contract hire scheme for retail customers. At the end of the three-year period, buyers can either trade the car in for another new Peugeot or pay a sum (fixed at the start of the contract) to buy the car outright. It will be possible to sell the car before the end of the three years, but doing so will break the contract and incur financial penalties. Peugeot says that buying a car through the new scheme will reduce the paperwork involved in buying a new car, as well as protecting the owner from rising costs in the future by fixing the monthly payment for the full three-year period. The new programme is in addition to Peugeots existing finance schemes, so if a buyer doesnt want to take advantage of the full Just Add Fuel scheme, other options will still be available. Although the scheme is available on the majority of Peugeot cars, it is not available on the 107 Urban Lite, 207 Urban, 308 Urban or 308 SR. The Tepee, RCZ, 4007, 407, 807 and the companys range of light commercial vehicles are also excluded from the deal. There are also various restrictions on the insurance, including a minimum age of 25 for drivers of most models (30 on some 308 CC models, but 21 on the 107 Millesim) and a maximum age of 75. The policy will also cover no more than three named drivers, all of whom must have held a full UK/EU driving licence for at least a year.